while being at Global Oneness Project's event on Consciousness & Global Change, and listening to the vision and teaching of oneness, few stream of thoughts on how to effectively carry or transmit consciousness was coming to me which i will share here in 2 part posts. the methods of teachings of great world teachers is something really fascinating to look at in that regard. each world teachers such as Moses, Buddha or Muhammad - it's a source of great teaching and inspiration to see how they not only had very personal inner awakening of consciousness but they also went to the market place, to laymen, to the society deeply busy in mundane business to share that great awakening and consciousness. the methods might be different, but that great sincerity of each of such world teachers who single handedly inspired and changed lives of nations, ages after ages - are mind boggling. for the enlightened beings such process was a journey from inner plane to outer. first each had a profound deeper experience which was totally inner. examples can be drawn from Moses' mystical conversation with burning bush, Buddha's experience of Enlightenment under the Bodhi tree, Muhammad's Enlightenment in the cave on the Mountain of Light. now all of these experiences had a very personal nature which was coming from deep within. surrounding those special moments, prior and after those experiences each of such world teachers had long contemplative time about how to liberate humanity, the people of the society from suffering, injustice, all the bondages etc. what is fascinating is how they translated their inner experience to tangible outer practices for the lay persons which would help them journey from outer to the inner, ultimately in the close proximity of what the teacher experienced and to live that consciousness. sufi master Bawa used to say, 'only one in million goes back to God'. so the one in million who goes back to God (who happen to be given the direct and royal Divine Experience) once having the experience of Divine, bring that inner to outer and gives to the world the experience and consciousness in a manner which helps the ordinary to have a journey from outer to inner. for the rest one million minus one ordinary and lay people its a reverse process. and thats how it has always been. thus for the ordinary people its really important to start from outer because they don't hold that higher consciousness or don't necessarily have that space to do that. human nature is forgetful. 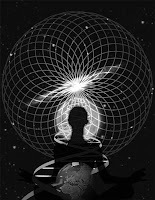 thus if the teaching of consciousness is given only as a theory, in majority of the cases are forgotten as soon as such laymen step out again in the world, in the market place. also the inner experience can be very abstract for those who live in the ordinary conditioning and thus may not be able to successfully be connected. in that regard i personally feel a particular teaching or consciousness in order for it to be transmitted, a successful transmission always has to come with a process that will help the ordinary to journey from outer to inner. from tangible work, practices to higher consciousness which may look abstract in the beginning (when i was listening to question from many, such point was being affirmed more and more). the way the higher consciousness comes to a teacher is not necessarily applicable for the ordinary. if we look at the world teachers we find practices given, which are nothing but tools for the ordinary to work their way from outer to the inner, the very inner from where the consciousness and teaching ordinate from. such practices, tools, real direction which will translate to a practice as simple as praying on a regular basis or giving away certain amount of personal wealth or engaging a certain portion of time every year for self-less work - needs to be there for the ordinary. only training, physical engagement, work on ground is what works affectively for the one million minus one population. for a teacher the journey of realization and process of transmission is inner to outer. for the ordinary and those who wish to be recipient of the transmission it works from outer to inner. things are changing on a very rapid speed, but this spiritual law still exists. if we look at the level of mental evolution of the lay people or ordinary people around it will affirm that as well. (except for highly adept souls / disciples who become the successor of the teacher eventually, can share and take-in the inner experiences directly because they already have the affinity and readiness).
. in the next post, i would like to share same stream of thought which has to do, transmission to whom - laymen or kings?